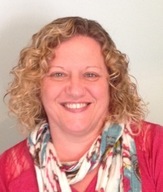 I am a psychotherapist, counsellor and supervisor with over twenty years experience of providing therapy. My entire professional life has been working with people in both caring and therapeutic roles. I offer a compassionate, curious, empathic opportunity to reflect upon what you are finding difficult, painful or confusing; helping you to make sense of and bring understanding to issues or situations you might want to reflect upon and/or change. I have a special interest in bereavement and loss having worked alongside those who are grieving for many years and I am accredited with the Foundation for Infant Loss. I also have wide experience in the autistic, sensory and learning disabled communities. I offer a supportive and caring space to reflect upon your work, your practice and your role. Supervision is a working alliance to consider yourself and your work; receive observations, feedback and where appropriate, guidance. The object of our working together is to enable you to feel supported and grow in understanding and confidence; to maintain ethical and professional standards and develop your competence as a practitioner. As a supervisor I encourage you to bring your whole self to supervision; so we might fully consider your practice and your awareness of self within your practice. I intentionally support you professionally recognising that if I do not also support you holistically then your ability to grow will be stunted. In the same way that I believe it is the relationship in therapy that brings about change I also believe in supervision the relationship is essential as the container of growth and maturity of practice. My practice is respectful of each individual's style or orientation of practice and personal philosophy or faith. I work with therapists, healthcare professionals, support workers, those in the voluntary sector and clergy.